We are a dedicated team specialising in strategic themes evolving around finance and risk for financial institutions. 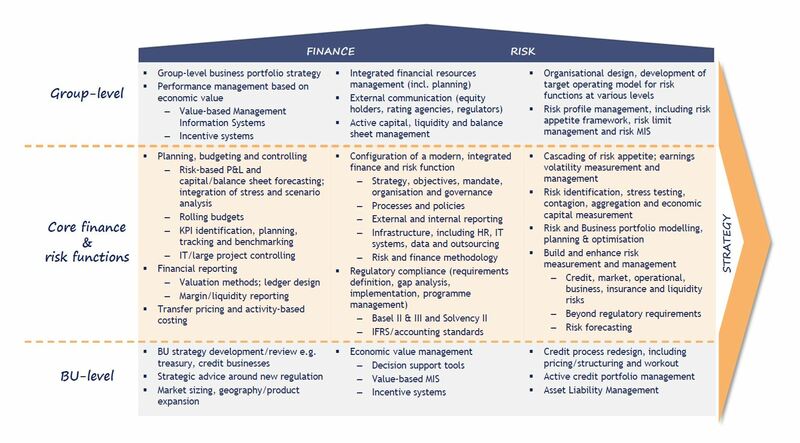 We have deep expertise across risk and finance functions, financial services businesses and relevant regulatory requirements and a strong focus on innovation. We work at the Group level, for specific Business units or in a joint function between Group and BUs. A summary of the major themes we are working on is illustrated below.